Wood Stain that will not cost the Earth!! Most store-bought wood stains contain harsh chemicals and produce terrible fumes, causing hazards for both the environment and the health of those using them. But coffee––while it does have some limitations in terms of coloration––is an incredibly effective, safe, organic, and ecologically responsible alternative. Not to mention being both cheap and easy to use. Here’s everything you’ll need to know to turn coffee grounds into environmentally friendly wood stain. 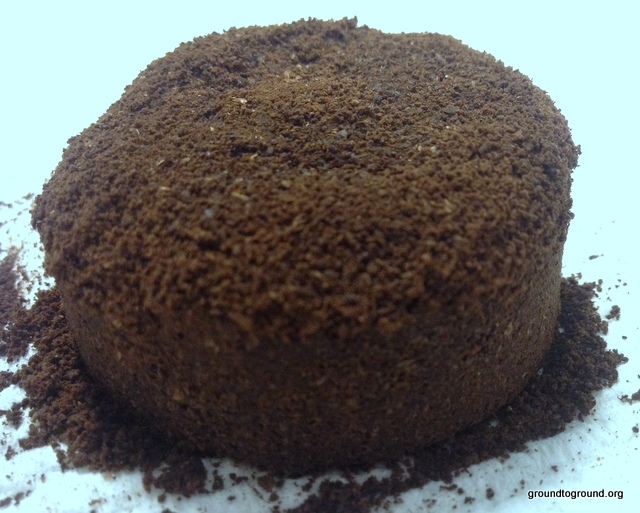 Obviously, coffee grounds are a must––no matter whether coarse ground, fine or previously used. The last items are a coffee filter (we’d encourage you to reuse), two clean lint-free cloths, sandpaper, and a screwdriver. Brew the grounds in near-boiling water and leave to steep for somewhere between 2-8 hours. The longer they steep, the darker your stain will be. Of course, the color will also depend upon how much water you use. It’s best to brew it quite strong initially, as you can always dilute the color afterward. Let the coffee cool down, strain out the grounds, and the stain is ready to use. Note: You can also leave the grounds in, paint them onto the wood, and then brush them off with a clean cloth when the stain has had a chance to dry. While messier, this might be a good option for those desiring more of a ‘distressed’ look. You’ll also need to prepare the wood. This is where the sandpaper and screwdriver come in. Remove any hinges, handles, or knobs. Sand the material smooth to remove imperfections, and so that it won’t snag your cloth. At this point you can also distress the wood slightly if desired. This might include hitting it with blunt objects, sanding unevenly and against the grain, or making small nicks in the surface. All of this will cause the stain to saturate differently and give the piece a bit of character. As with any similar project, experiment on some scrap wood to get a feel for how coffee behaves. Simply soak one of the rags in the stain (you may want to wear gloves to avoid staining your hands or clothes), wring it slightly damp, and apply it evenly and thoroughly across the wood. Then, wipe away the excess with a second clean dry towel to eliminate any pooling. It isn’t always necessary, but it is often best to apply 2-3 coats, allowing the surface to dry overnight before reapplying. This will ensure the stain is well set in and richly hued, and will also prevent fading. There are many environmentally safe sealants available on the market today. Unfortunately, there aren’t many quick and easy ways to make one yourself. Beeswax solutions tend to require semi-frequent reapplication as they dry out. There are, however, a number of water- and natural oil-based sealants available, many of which employ soy and linseed oil. Others are made from vegetable solvents and plant-based resins. For a comprehensive list of many of the safest and most popular, visit this link. Be sure to note whether the sealant will darken or lighten the appearance of your stain. It doesn’t make much sense to treat the furniture that fills our homes with harmful chemicals. Especially not when there are cheaper, easier to find, and more sustainable alternatives. Even the tiniest amounts of chemical residue can have health and ecological repercussions, and it is important we strive to limit the footprint created by the large-scale manufacture and distribution of products that can easily be replaced with common household items. Besides, even ignoring the other benefits, DIY always contributes to an unparalleled sense of satisfaction. When you invest a bit more in the objects that fill your life, you inevitably get more back from them. 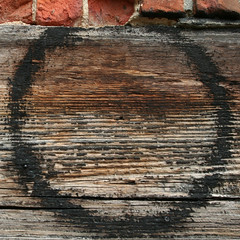 Tags: coffee, coffee grounds, Wood Stain. Bookmark the permalink. can anyone share some pictures. I like it. Need to do outside table. What sealent did you use? Hi mate – here is a link that might help (it is a US site but they should have same/similar here also).